This impressive bracket fungus returns year on year and will be an important food source for many insects over the coming days. 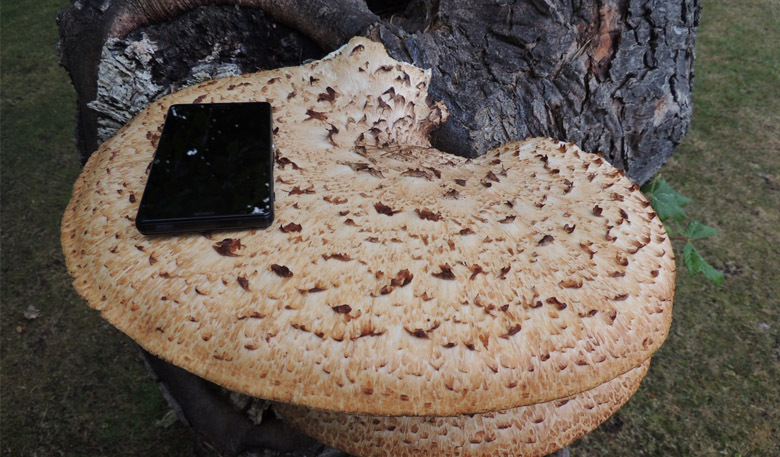 Ever heard of a Polyporus squamosus? 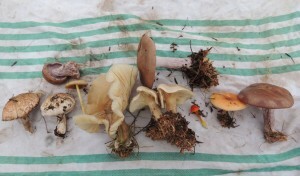 There are many large fungi growing at the Home of Golf such as giant puffballs or the family of boletes which reveal themselves over the autumnal period, however, very few of these make it to the size of this Polyporus squamosus which is growing near the entrance to the Eden Clubhouse. This impressive bracket fungus returns year on year and will be an important food source for many insects over the coming days. 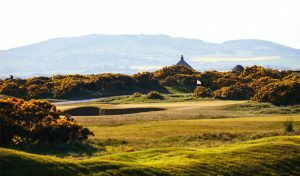 Elsewhere on the Links, the Eden greenkeeping team have been proactive in their approach to wildlife management. Three new wildflower areas have been created with agrimony, viper’s bugloss and lady’s bedstraw being the main constituents of the seeds sown. The method of creating the areas was via the holistic route rather than the chemical one. Firstly, the turf was removed using a Graden scarifyer and sent to be composted. The next job was to rake away any unwanted arising’s which was then followed by a light dressing of sand. The seed was then sown onto the sand and then gently pressed in. 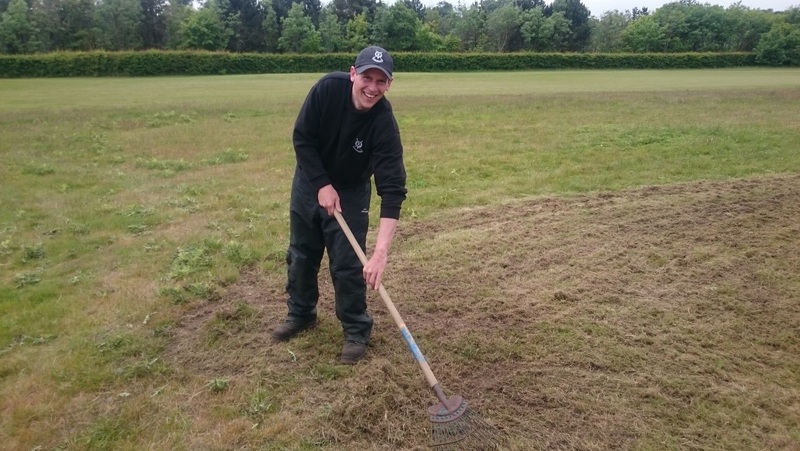 Many thanks to Simon (below) and Colin for their hard work! 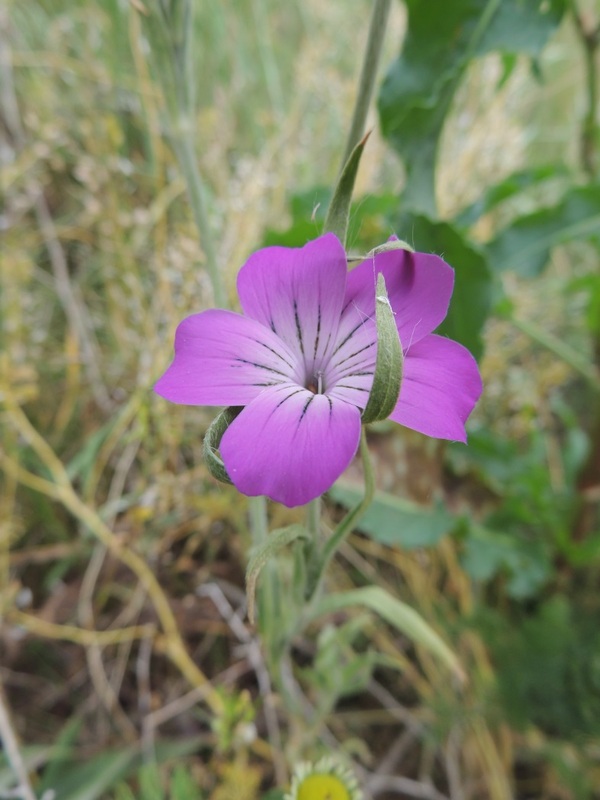 There have been 102 different types of wildflowers recorded since March, 2015. The majority of these are common but there are one or two rarities making an appearance including this Corncockle which is growing contently on the Eden Course. Onto birdlife and the skylarks, whitethroats, yellowhammers and linnets (amongst others) have all nested and subsequently raised chicks over the past month. 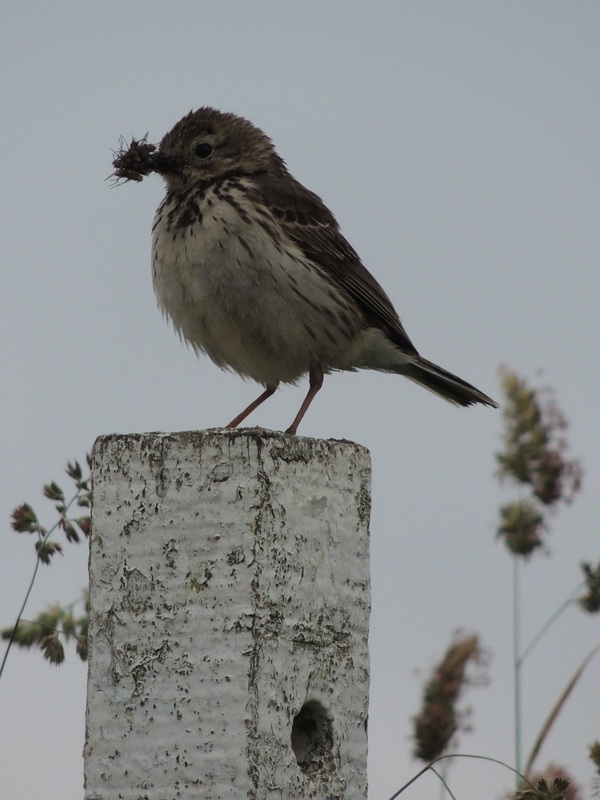 The pipit nest adjacent to the Jubilee Greenkeeping Centre which we have been keeping a close eye on have all fledged and seem to be doing fine. Four chicks were raised and I’m happy to report that the parents are doing a smashing job of catching flies and bringing them to their young. 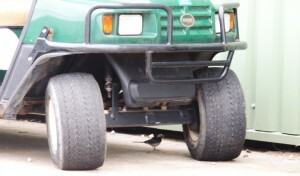 Here’s one of the parents sitting on an out of bounds marker.